The bass hype is not abating. On the contrary: travel to the smallmouth bass are more in demand than ever! Also for Rico and Max, two fishermen from Berlin, was neither towards the Organization far to elaborately-she travelled to Spain! It is the 14th September 2012 and I can’t believe it still, that I sit on the central station with Rico in Barcelona and was waiting for the train in the fishing paradise! I think it was March 23, as we sat with a beer in a bar once again brainfucks about fishing. I still remember that Rico seemed quite unrealistic at this moment. Curious as I am, I simply asked him, in what movie it was. On this question, an answer that I would have not expected came. In the perfect Berlin slang he replied: “Ey Max, I must set year son damn Smallmouth Bass catch!”. I replied without batting an eyelid: “ick och. ‘. The thing was already done, and a month later I was involved fully in the booking of the camp. Feels like three years later we were finally nearing the destination of our journey! Most of the time it was quiet between us and if we saw, we both had to smile because we knew that we had almost made it. The train ride was going to not pass – but the landscape, surrounded by olive groves, vineyards and the coast of Tarragona, the three and a half hours of nerve-wrangling compensate denominated. Finally arrived in Fayon we by Hartmut, an employee of the camp, were received and with a little stopover in the village in the camp. At the sight of the water I wanted to pull my complete bait box by the tempting wet most directly. It was azure and as smooth as glass. It was as smooth as glass but not particularly long: constantly huge carp broke through the surface of the water and made itself felt through loud splashing. The first question we asked Rico and I, was: how to love of God our bait to prevail against this mass of forage fish and crabs? Under every stone was at least a cancer, each herb field there were countless living beings and previously unimaginable schools of forage fish. After Carola, which conjured up camp cook, a really good evening meal and we processed us with a refreshing San Miguel first impressions, it was time to take our caravan suddenly dark and thus. Sleep was not to think, because we were too excited! Therefore, we decided to inspect the Jetty facilities of the camp a little with the rod! And as luck would have it so, Rico yelped already after the third throw, because a fish snapped after his crankbait as he tried to lift him from the water. We gave our project a short time later and behold, when leaving the bridge two eyes in the herb lit up on us. A good walleye made hunt for unwary arcades in shallow water. The pike perch should greet us every night from now on. The geckos were always a sign that the night stands and the plans for the next day must be forged. The rooster crowed at 6: 00! But it didn’t for once us, we had no eye anyway to get. Even before the first cup of coffee, we ran to the bridge and made a few throws! Three minutes later the first bass at the Popper hung. With its 20 centimetres not the largest specimen, but it was my first Smallmouth Bass. Not five minutes passed, Rico got a bite on his best. The fish broke through the surface of the water with a typical jump and could be landed safely. We were excited and could hardly believe it. The Smallmouth were more or less on the bed and wanted to be outsmarted only. After Rico could outsmart even a copy of approximately 25 cm, it was even for breakfast. Carola has been dishing up there again only the finest of Spanish supermarkets us and we were strengthened into a real fight. Wind And Waves: The Spoilsport at The “Babu”! The fight was wind, waves, huge cabbage fields, lukewarm water and changing water levels. We searched for the fish mostly in the calmer bays if these were possible. Such spots were anything but easy, because the Rio Matarraña has only a few coves in this area. Arrived at the first spot we drove easily on a tree over and fished them out. In the litter but I lost control and my bait (Senko worm) landed in the tree. 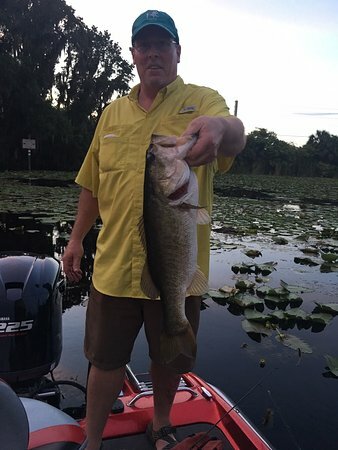 Hardly my Senko was back in the water, then grabbed a giant bass. Two seconds later, the haunting was unfortunately already over, because the bass moved into the tree and my ridiculous 6-pound fluorocarbon tore up on a branch occupied with mussels. The first few days we fished every day somewhere else and could locate thus good places. Some of them we came back regularly in the second half of our holiday. The Best Spot: A small Bay Directly at The Camp! Best’s ran into a Bay not far from the camp away: in the small garden pond-Great Bay we caught 80% of all Smallmouth in this unique holiday. When we were on the third day in the morning on the way there, Rico got a crazy bite on his best. The fish took line immediately and not to keep. However, Rico took the same fate as me and he lost the big fish! Quasi as “Reparations”, Rico, was rewarded shortly before breakfast, with the biggest bass of our stay! Coincidentally, I found out about Facebook, that also Fynn and Tobi fished at the same time on black bass fishing as we! Here at listofusnewspapers you can get more different fishing models. Spontaneously we arranged us in the Bay of pigs tail, a long Bay on the main portion of the Ebro reservoir. There were quite a few herb fields, steep slopes, in enclosed water trees and shallow water zones. In other words: The BASS heaven! During the first visit were also three black perch and a few Pike perch at the decoy. The next day, we went to four to Mequinenza to buy new lures at bass-shop! Rico purchases made it their immediate, because he could just conjure a 40 + perch out of the herb in the afternoon with his new silent Lipless crankbait. Warm Water Means Slow Fishing! I remembered the words of the bass-shop operator: “you must fish very very slow! The water is to hot! “.” I took me to heart and now very very slowly led my bait. I still remember that I was at a submerged bridge my Texas rig for every crank revolution for ten seconds. This was the breakthrough, because I got a bite directly to the boat and could carry a fat bass on Board again! On our last day, the wind was blowing really strongly once again and we moved back to our home port! Exactly where I Rob previously a few Basse had seen in the evening! Hardly, we arrived, even my 4 inch Senko flew exactly before the edge of the reeds! I felt a brief twitch, waited until the fish took a little cord and put the right off the bat! It was doesn’t matter whether cracks whip out my ml into a thousand pieces, I wanted to have this fish. Thank God everything went well and I was able to land successfully the bass! After a few beautiful snapshots, this fish went back again in the Matarraña Rio! On the last evening, Fynn and Tobi came on a few beers. For hours we sat in our small restaurant and celebrated the beautiful BASS break! All in all: a brilliant trip with nice people and freaky fish. 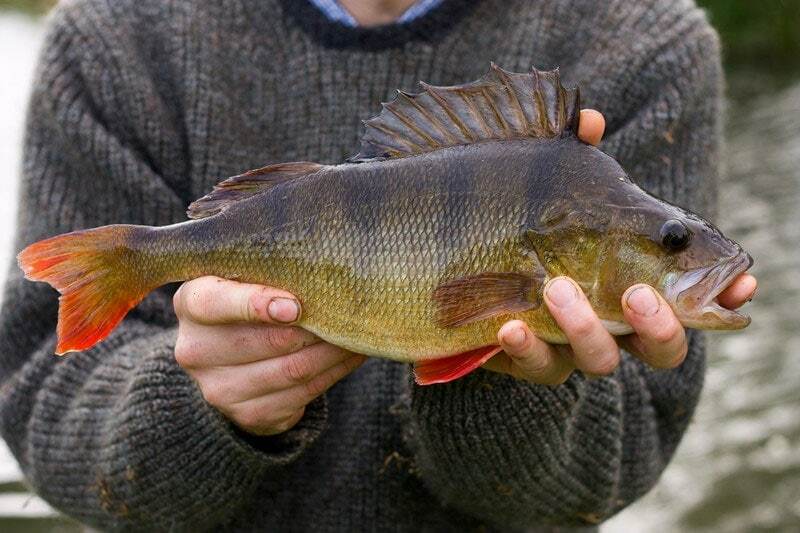 The next holiday is planned and there’s all determined again in the box – of course with Smallmouth Bass!